masala paniyaram recipe | masala appe | instant masala kuzhi paniyaram with detailed photo and video recipe. 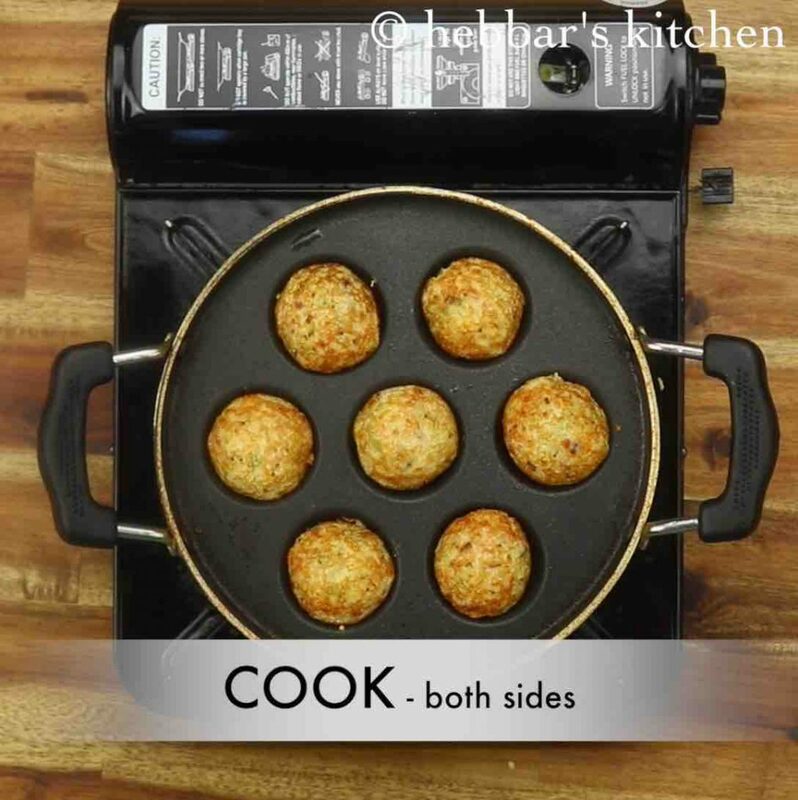 an easy and instant spiced version of paniyaram or appe recipe made with semolina. 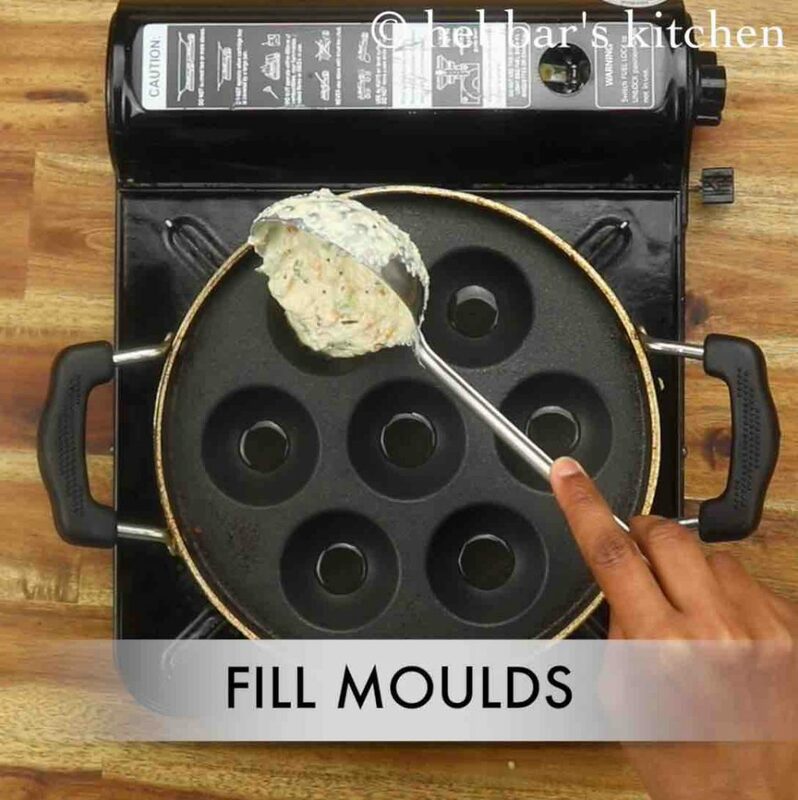 it is an ideal morning breakfast recipe and can be made instantly within minutes. it is spiced and has all the necessary spices in it and can be served as it is, but tastes great with a choice of chutney or chutney pudi. 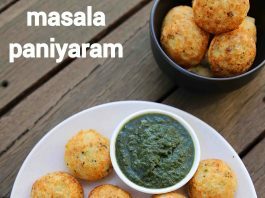 masala paniyaram recipe | masala appe | instant masala kuzhi paniyaram with step by step photo and video recipe. 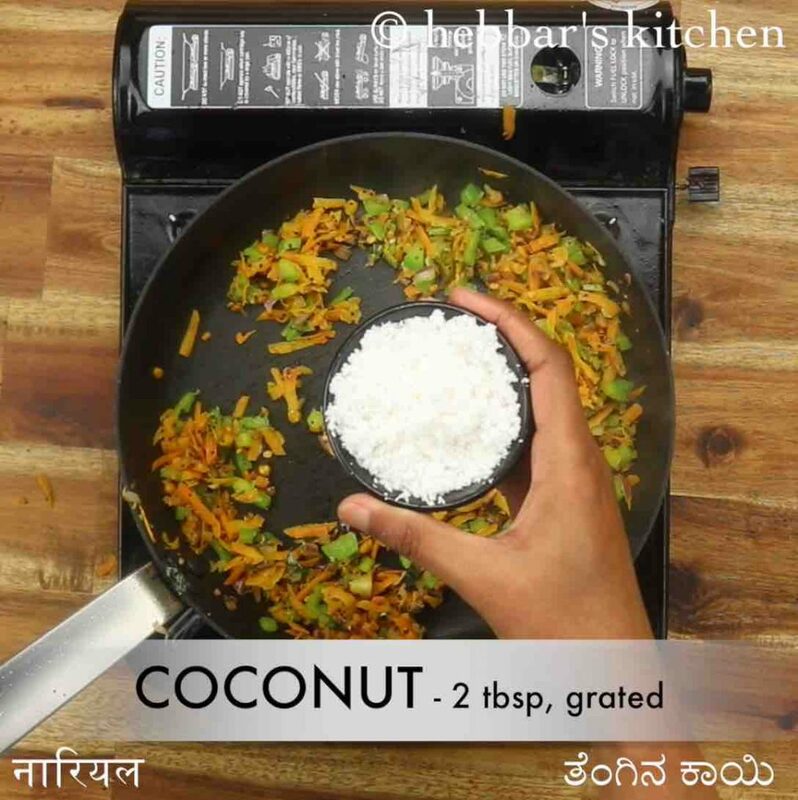 south indian recipes are known for it instant and healthy breakfast recipes. it generally falls under the domain of idli or dosa which are made with steaming and without any oil. but there is another variation known as appe recipe, which is also known as masala paniyaram recipe. i have always been a huge fan of instant breakfast recipes and i guess it is very clear with my blog. i have tried to cover most of the instant recipe version, but somehow i had this version of masala paniyaram recipe. the beauty of this recipe is, it is instant as well as a complete package. 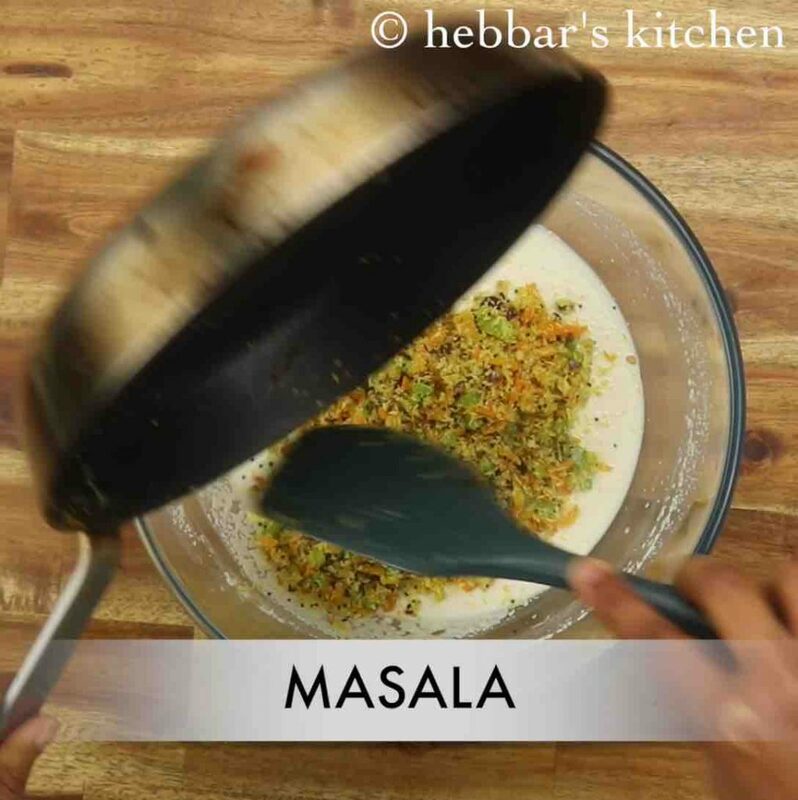 it does not require any additional side dish for this recipe as it does contain all the spices and masala. hence it can be an ideal recipe if you are running late during the morning and you need something healthy and instant. 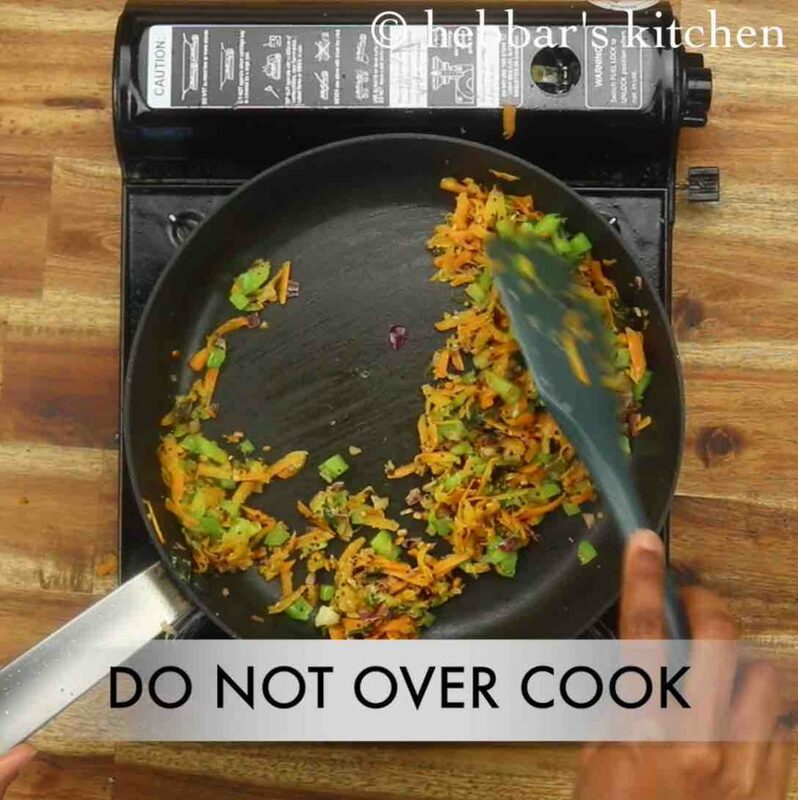 as matter of fact, you can further extend this recipe by adding grated vegetables like beetroot or finely chopped beans. 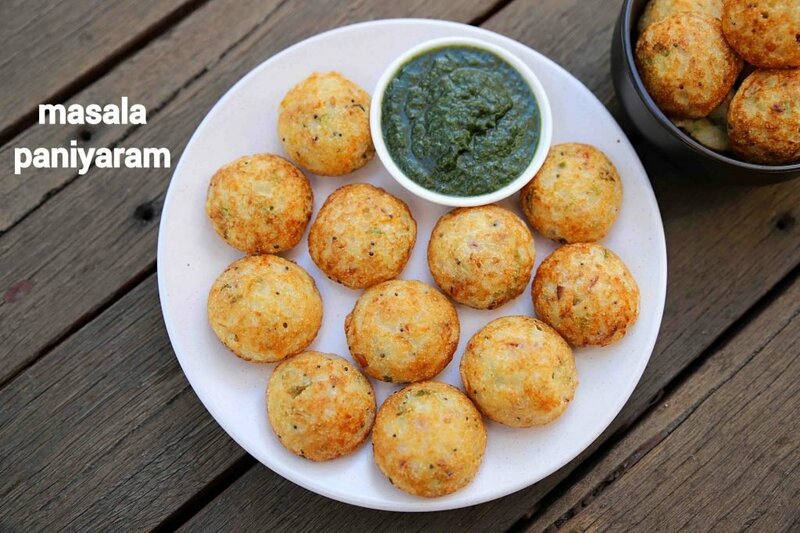 perhaps very much like and uttapam recipe, but with a smaller size. this instant masala paniyaram recipe is very easy and quick, yet some tips and suggestions to make it perfect. firstly, the recipe does not involve the fermentation process and hence i have added eno fruit salt for the puffiness. it can be replaced with baking soda for the same purpose, but eno salt is a better option. secondly, the masala appe has to be served instantly once it is prepared and still it is warm. otherwise, it can turn soggy when it is cooled down. lastly, the recipe does not need any extra side dish as it has all the necessary stuffing. but it tastes great with the tangy and spicy chutney like onion chutney or tomato chutney. firstly, in a large mixing bowl take 1 cup suji. 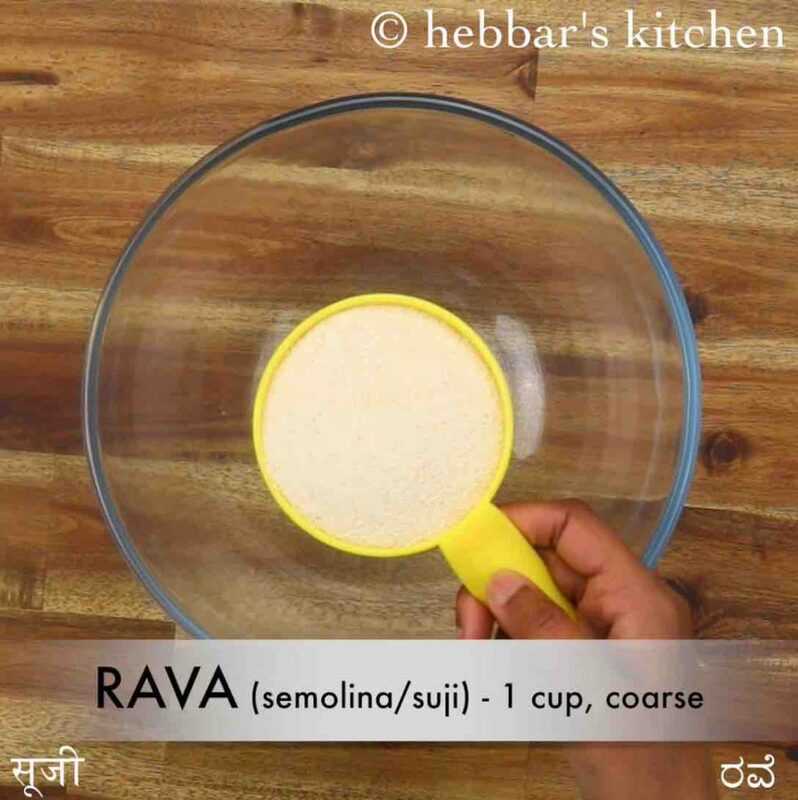 use coarse rava, else it will turn mushy. 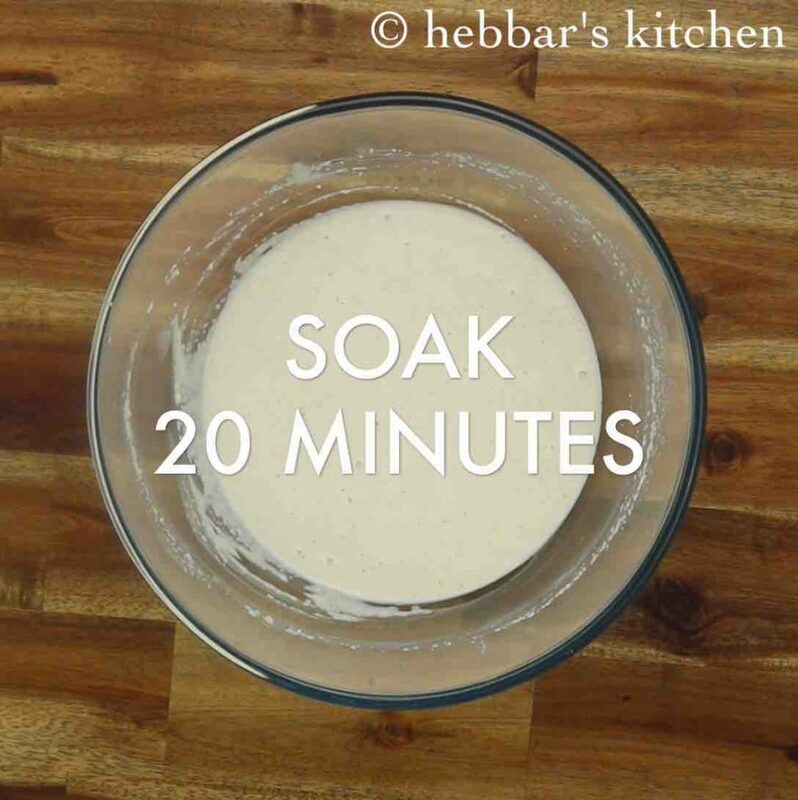 add ½ cup curd, ½ tsp salt and 1 cup water. 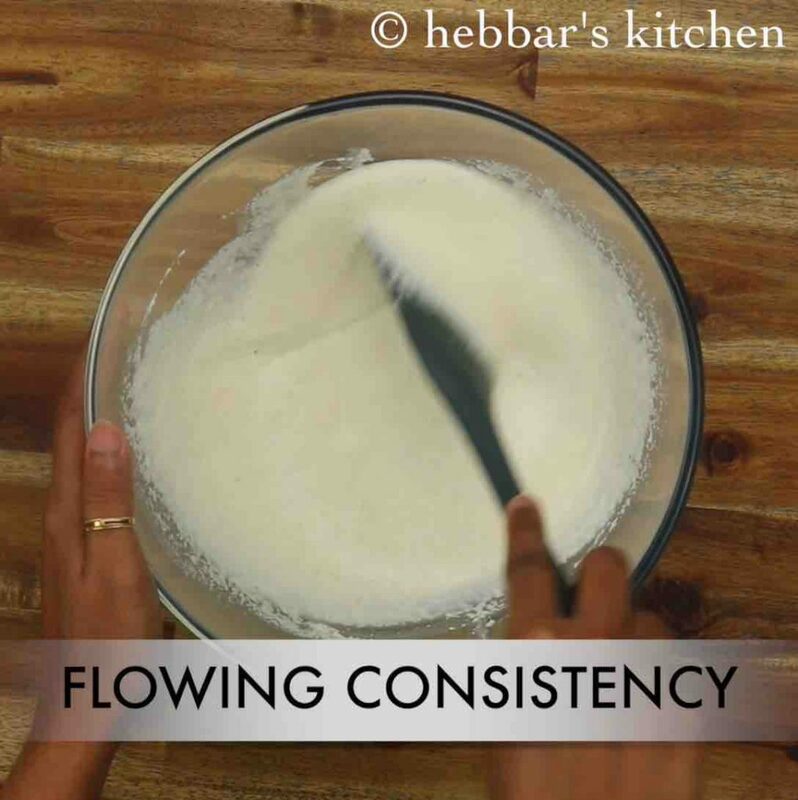 mix well forming a smooth flowing consistency batter. 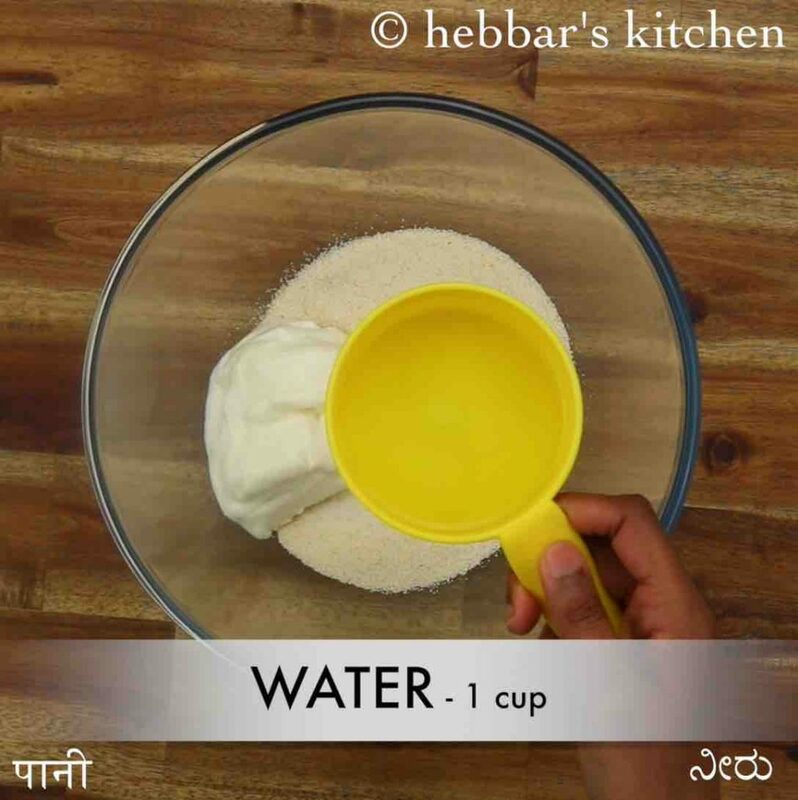 do not worry if the batter is watery, as rava will absorb water. allow to rest for 20 minutes, or until the rava absorbs well. 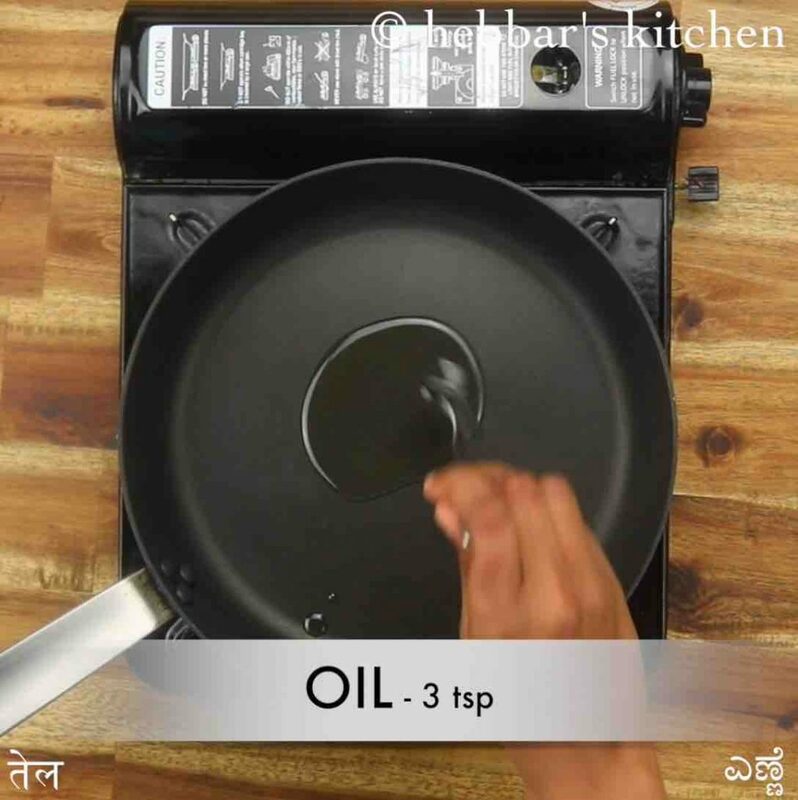 meanwhile, prepare masala by heating 3 tsp oil in a tawa. 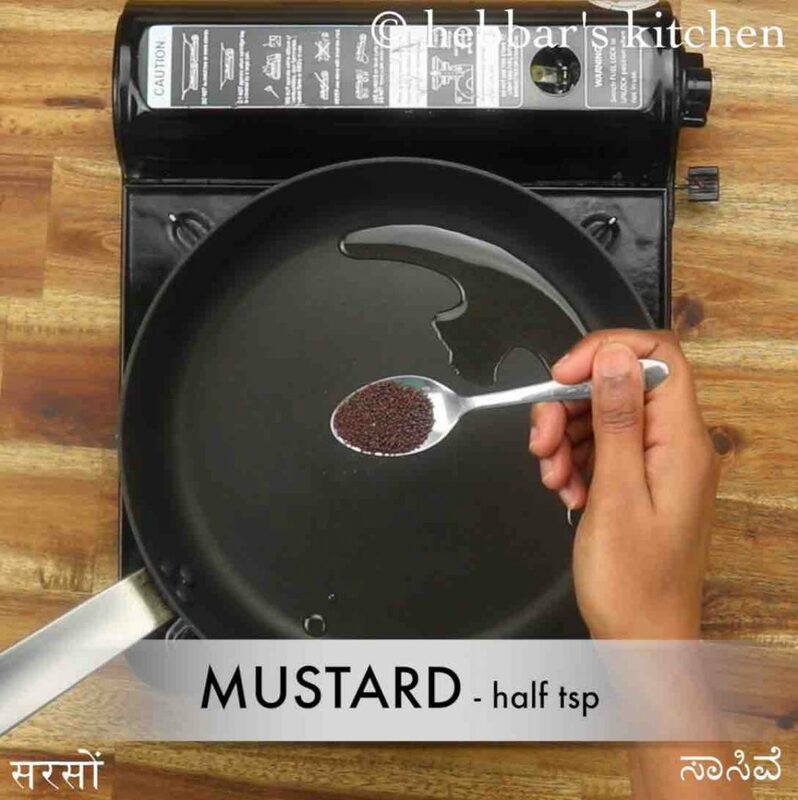 once the oil is hot, add ½ tsp mustard, ½ tsp urad dal, ½ tsp chana dal and few curry leaves. allow to splutter. 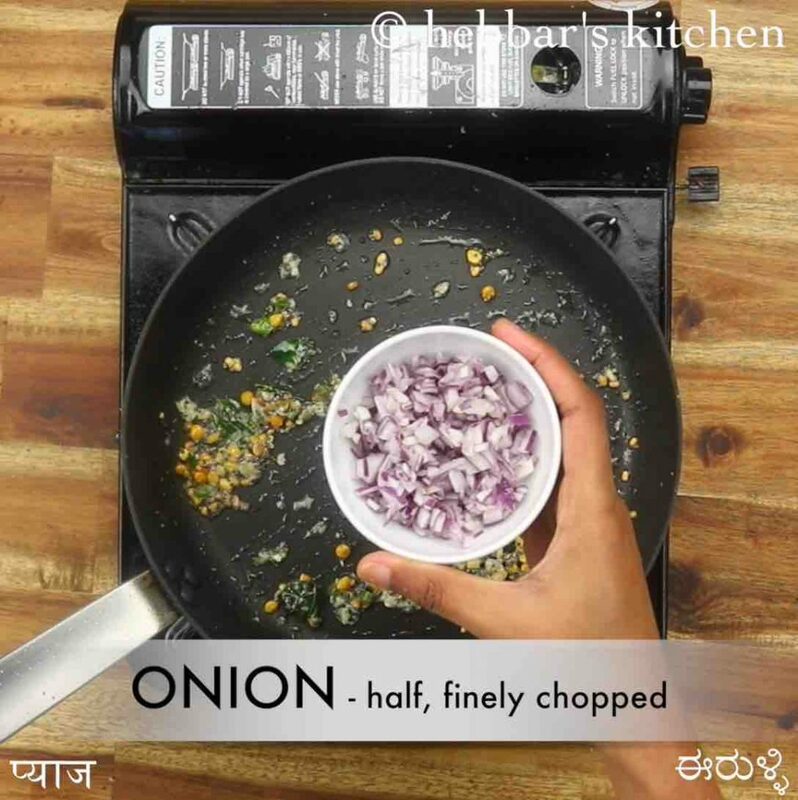 now add 1 chilli, ½ tsp ginger paste and ½ onion. saute well. 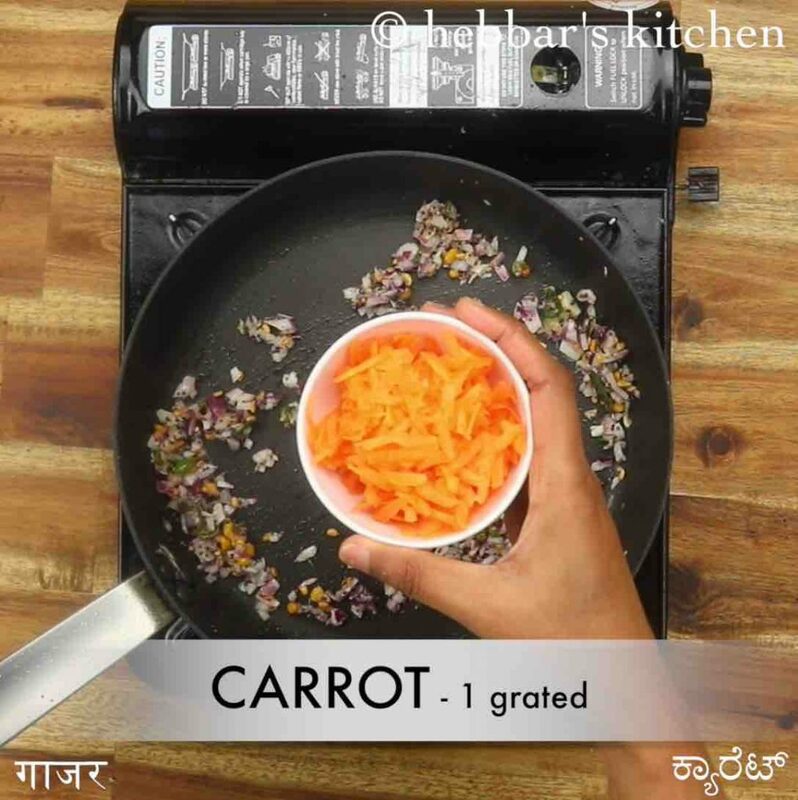 additionally, add 1 carrot and ½ capsicum. saute until the vegetables are cooked well. now keeping the flame on low, add 2 tbsp coconut and roast for 2 minutes. transfer the masala mixture to rava batter. 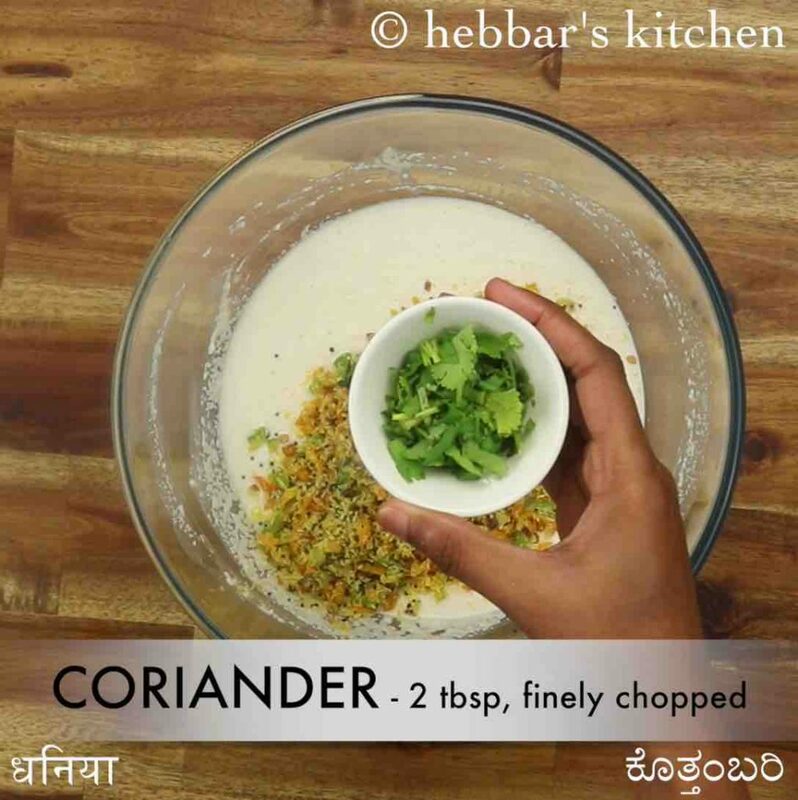 also, add 2 tbsp coriander leaves and mix well. 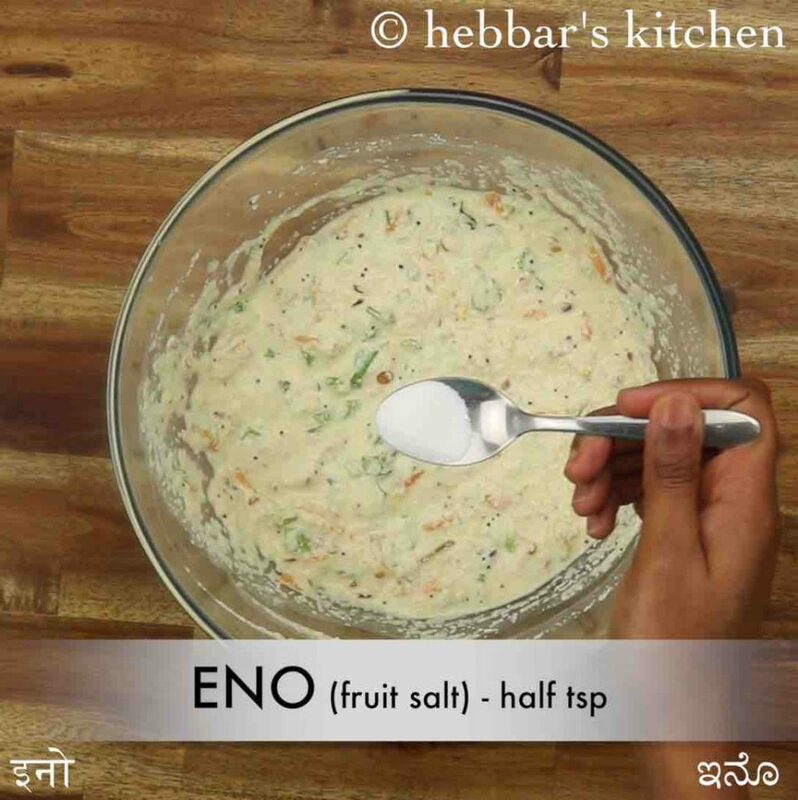 furthermore, add a pinch baking soda or ½ tsp eno just before preparing appe and combine well. 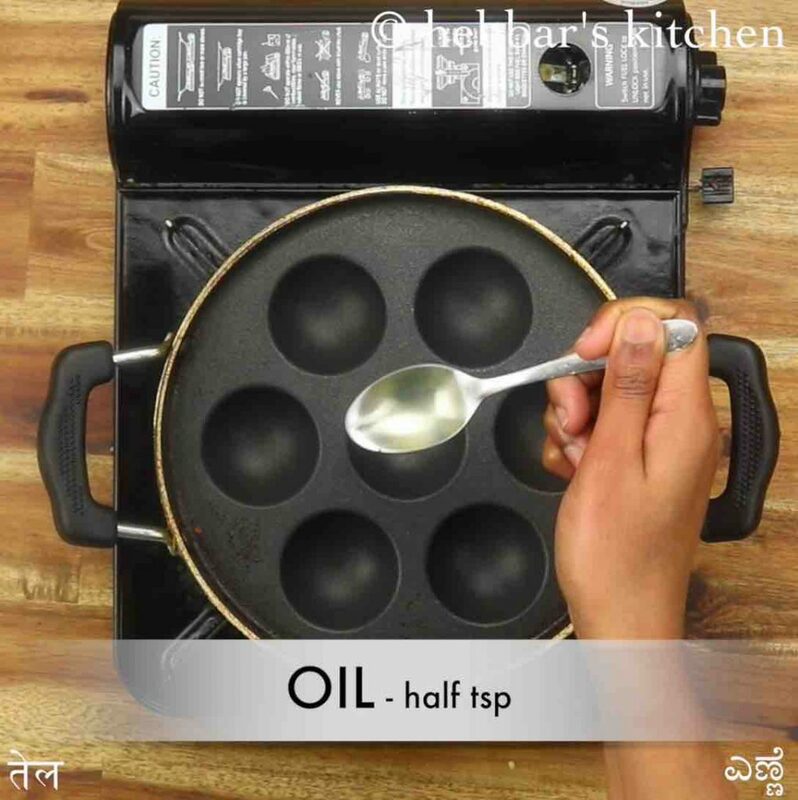 heat paniyaram pan / guliyappa pan / appe pan, add few drops of oil inside the holes. now fill the holes with a tbsp of sooji batter in each. cover and simmer for 2 minutes or until appe gets cooked slightly. once the base turns golden, flip it over to the other side using a spoon. 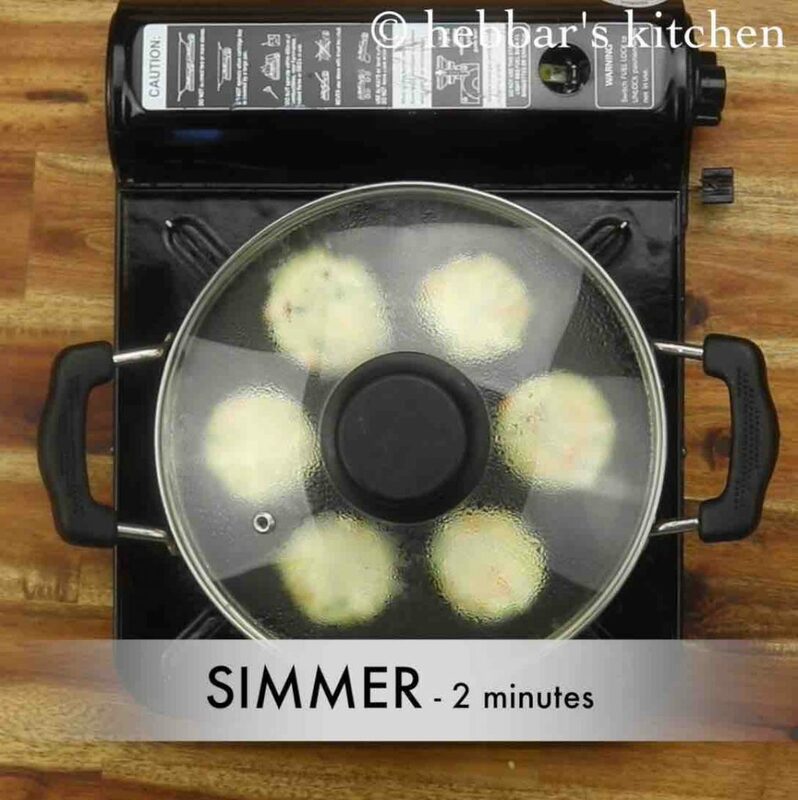 simmer further and cook on low heat until it turns golden browns. 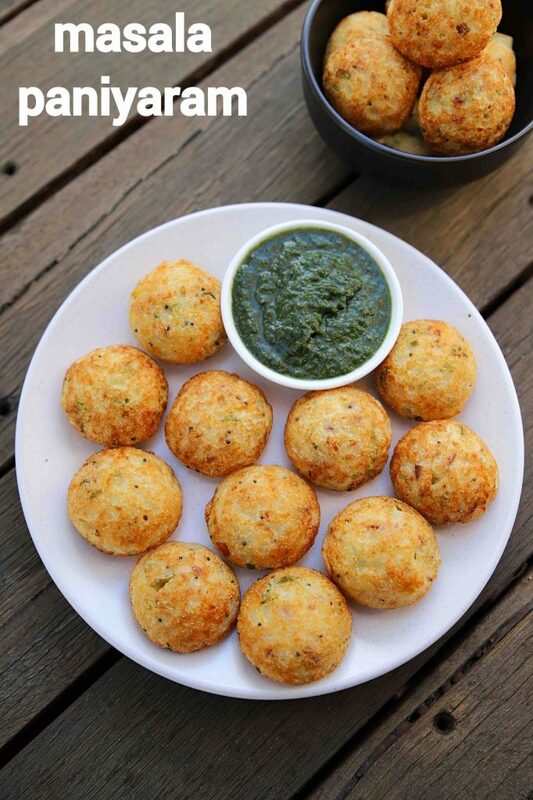 finally, serve instant masala paniyaram with tomato chutney or coconut chutney. firstly, add vegetables of your choice to make it more nutritious and healthy. 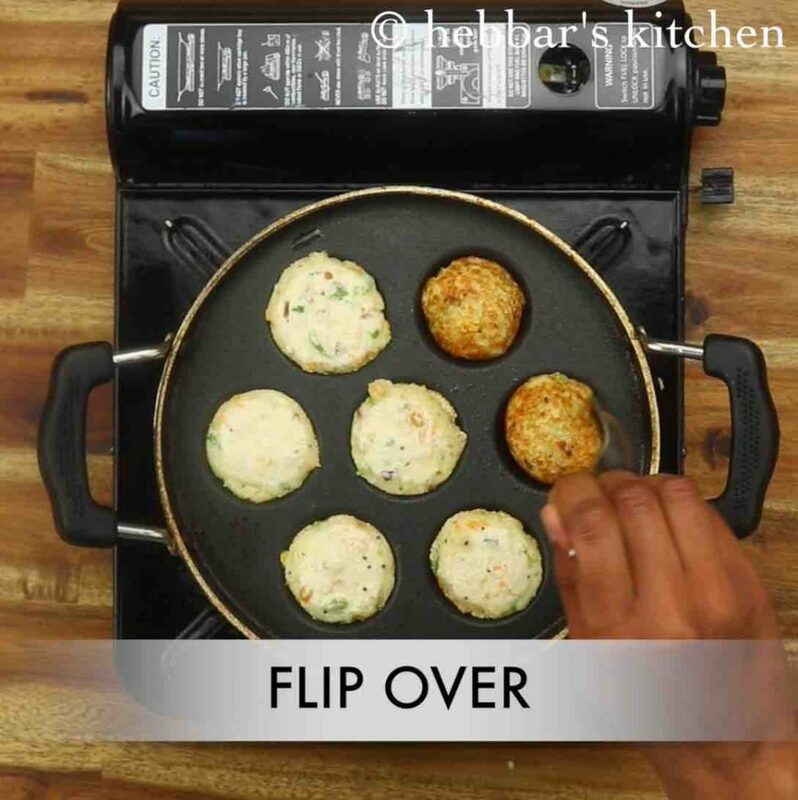 also, you can leftover idli or dosa batter to prepare appe. additionally, roasting on low to medium flame will make sure to cook uniformly. finally, instant masala paniyaram recipe tastes great when served hot.